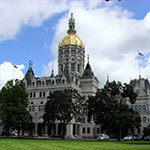 The Mystic region of southeastern Connecticut has many attractions for different interests: seafaring history in New London; a great aquarium in Mystic; great dining all along the shore; the Foxwoods and Mohegan Sun casinos; and much more. Lodgings for a romantic getaway or a short weekend getaway include luxury hotels (Jacuzzis often available), hotels and motels, resorts, inns and bed and breakfast inns. 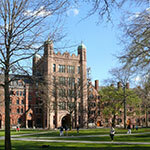 Offering include everything from major chain hotels to tiny mom-and-pop inns, often with extravagant dining nearby. The Griswold Inn is at once comfortable, classic and sophisticated and features one of America’s most celebrated marine art collections. The Griswold Inn, a quintessential New England inn, first opened in 1776. 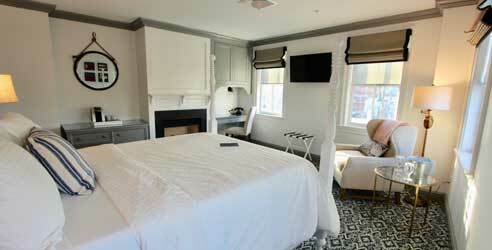 The Inn has 30 unique, charming rooms including suites. Most are furnished with antiques and period reproductions and feature wonderful antique beds with comfortable modern bedding. Dining at the Inn is a unique experience. 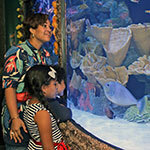 Enjoy fine food and drink surrounded by one of America's most celebrated marine art collections in one of the historic dining rooms or visit its stunning wine bar for a more contemporary dining experience. The ‘Gris’ also boasts an award-winning Tap Room described as “the most handsome barroom in America” and features live entertainment nightly. The Griswold Inn can accommodate many types of gatherings, from small weddings and other intimate groups to business functions and larger parties. 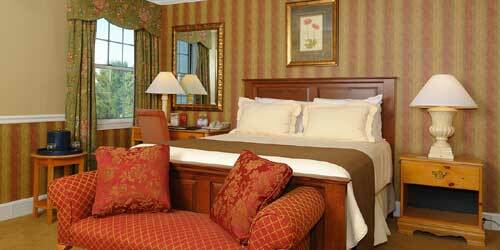 Enjoy some quality time with your sweetheart in a picturesque New England setting. 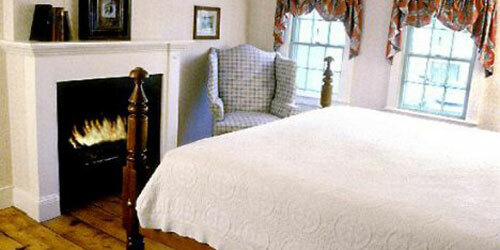 The Inn at Mystic offers coastal charm and cozy delights. 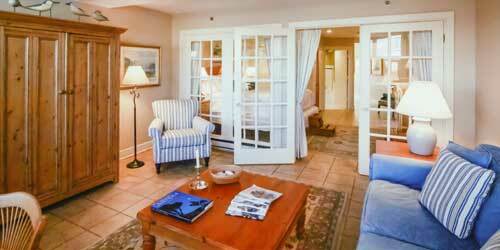 Many rooms include wood burning fireplaces, Jacuzzi tubs and a private balcony with a water view. Book a suite in the historic Haley Mansion for a truly special getaway. While you’re here, stroll the 14-acre property’s beautiful gardens, enjoy a romantic dinner at Harbour House Restaurant or take a short walk downtown to experience Mystic’s shops, restaurants and attractions. The pieces are all here for that special romantic weekend getaway or vacation. Guest rooms will pamper you with the ultimate in luxury. You’ll find magnificent water views, working fireplaces and balconies. Beautiful replicas of eighteenth century English style furnishings surround you to create an inviting atmosphere of warmth and charm. Exceptional care and thoughtfulness has been given to providing every delicious amenity imaginable, including refrigerators, nightly turndown service and spacious bathrooms of imported Italian tile, vanities and dressing areas. In addition, master suites feature gracious dining areas, whirlpool baths, separate showers and plush terry cloth bathrobes. On site is a full service, professionally staffed spa. Dining is available at Terra Mar. The rest is up to you. There’s something romantic about the shoreline. Maybe it’s the calming views of the water or the gentle lapping of waves as you stroll the beach. Add a beautiful waterfront B&B, the serenity of a small seaside village lined with boutique shops, fabulous restaurants and cafés, and you have all the makings for a perfect romantic getaway. At our classic seaside 16 room bed and breakfast overlooking the town’s marina district, you will find welcoming guestrooms, some with fireplace, balconies and deep soaking tubs. Attention to detail has been given to provide every amenity to complete the picture for a charming and relaxing time away together. We are proud members of Select Registry, Distinctive Inns of New England and have been designated one of the Top Ten Inns in the US by BedandBreakfast.com. You may find yourself asking “Isn’t this romantic?” too many times to count during your stay at the Spa at Norwich Inn. The inn offers a wide variety of special getaway packages, including a Wine Tasting Package, perfect for couples, that includes a carefree day touring the scenic Jonathan Edwards Winery, a Rejuvenation Package with customized spa services and a Country Getaway Retreat Package that includes breakfast and a three-course dinner at Kensington’s restaurant. Couples may also design their “personal escape plans” with spa and fitness services ranging from massages to morning walks and meditation. The inn itself is surrounded by romance, with gorgeous gardens, ponds, courtyard and fountains. Inside, rooms and suites feature elegant decor and the utmost in privacy. Take a charming, seafaring town devoted to preserving its history, add an inn that fronts the water, toss in luxurious, antique-appointed rooms with amenities from oversized whirlpool tubs to wood-burning fireplaces and you have the recipe for a romantic getaway, all served up by the Steamboat Inn. If you want to spice things up, order chocolate strawberries, flowers or champagne in advance to await you in your room. And be prepared for gorgeous water views when you get there, as well as a scrumptious breakfast in the sunny common room, where sherry and cookies are served in the evening. Just steps outside the inn are the quaint shops and fine restaurants of Mystic, one of New England’s loveliest towns. Picture walking into an historic inn on a quaint street in one of America’s most charming small towns. 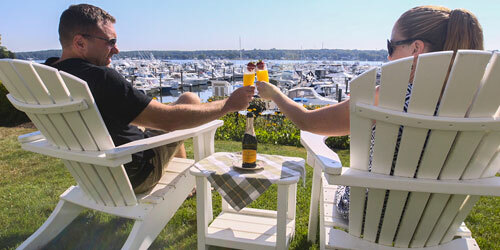 You have arrived at The Whaler’s Inn in Mystic, and your romantic escape is about to begin. Get comfortable in a cozy, nautical-themed room, some with gas-lit fireplaces and oversized whirlpool tubs. Dine on Northern Italian cuisine at Bravo Bravo or go for fresh oysters at S&P Oyster Company. Don’t miss the sublime sunset over the Mystic River drawbridge on your way back. In the morning, leave your extra-comfy bed and enjoy coffee on the porch, stroll through the shops on Main Street, or book a schooner cruise. Bid farewell to the boutique inn’s friendly staff – and promise to come back soon. 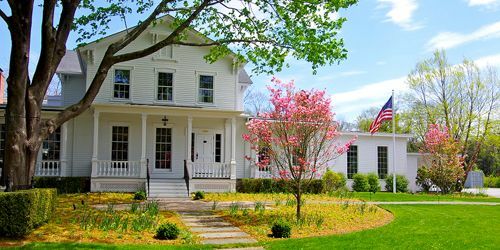 Bring your love and savor comfort and charm in a classic New England inn that brings to life the original beauty of the Old Lyme Inn estate. Set across from the picturesque Florence Griswold Museum, it features thirteen fully restored guest rooms with older and more modern touches to enhance your getaway: antique furniture, custom duvets, organic linens, local artwork along with gas fireplaces, separate sitting areas, tumbled marble bathrooms with large showers. The Inn’s restaurant offers traditional comfort food selections with a modern twist and features lots of delicious fresh and seasonal produce, meat, and seafood, farm-roasted coffee, and homemade ice cream. Enjoy the finest in jazz at the intimate Side Door Jazz Club with acclaimed musicians from around the music world. Sail into a perfect weekend for two in the romantic seaside town of Mystic from your spacious room (perhaps with an oversized whirlpool tub) at the Hilton Mystic. 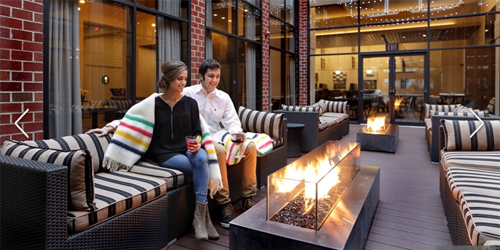 At the hotel, enjoy time in the pool or fitness room, have a cocktail or a craft beer by the lounge fire pit or share a dish or two in a cozy booth at the delightful The Irons restaurant (in the summer, enjoy concerts on the patio). In Mystic, visit the beluga whales at the aquarium or the shops in Olde Mistick Village, take a winery tour, stroll into the past at Mystic Seaport or dine by the water in this charming town. A fringe benefit: It’s a short drive to two casinos.